The Gracemere Hotel Restaurant is renowned for high quality meals, generous sizes, value for money and an exciting menu. The Gracemere Hotel's Head Chef and Restaurant staff are proud to use the freshest of produce available. 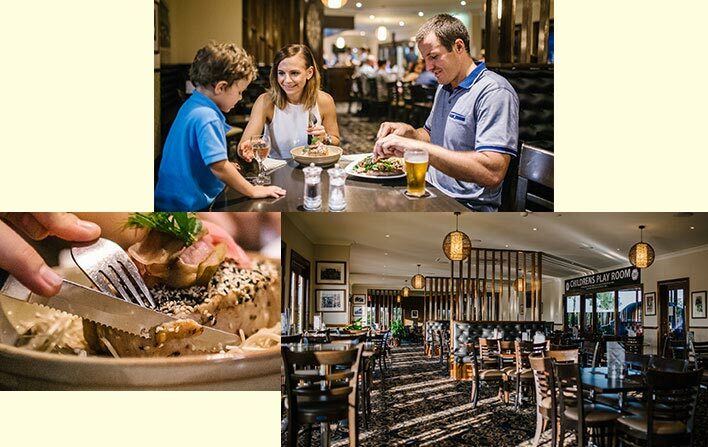 If you haven't experienced a meal at the Gracemere Hotel, then do yourself and your family a favour and book a table today! Click HERE to keep me updated on the new menu or restaurant specials and promos. Our beer garden and deck area provide a relaxing, vibrant space to enjoy your next meal or function. 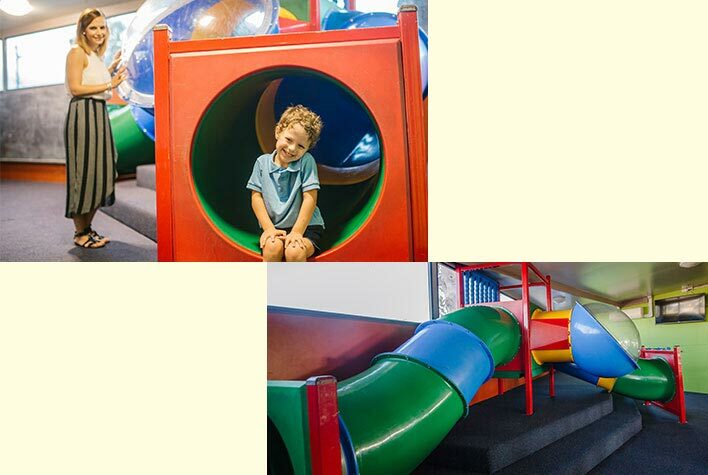 The new Wild West kids room will keep the little ones entertained while you enjoy our restaurants high quality meals in superb surrounds. Be sure to request the beer garden or deck when making your next dinner booking. 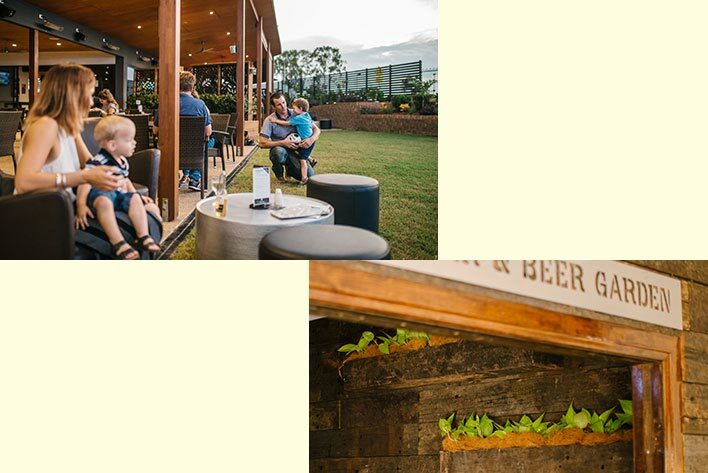 Come in and enjoy a cold beer and a chat in the Sports Bar at the Gracemere Hotel, open plan with plenty of tables and seating for your comfort. Why not try your luck on Keno or place a bet at the TAB. 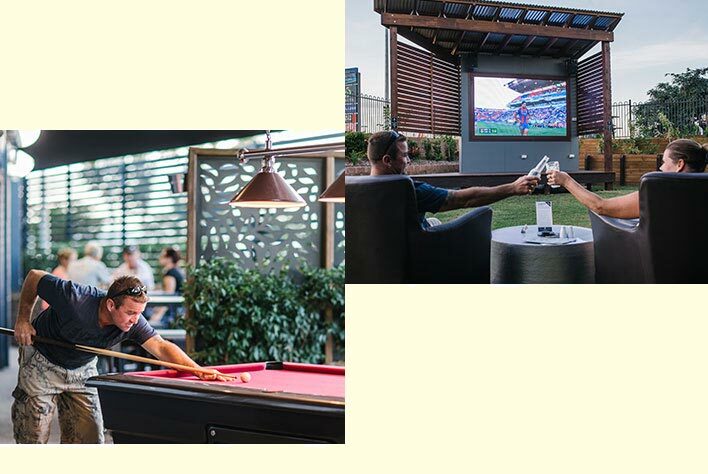 Enjoy a game of pool, before you have a beer or meal in the adjacent beer garden. The recently refurbished restaurant and dining area is large and spacious with the renowned designated kids rooms. Contact us on 07 4933 1241 to arrange our Courtesy Bus. Our Courtesy Bus is operating from 4:30pm until late Tuesday to Sunday! We will happily pick you up from your home if you live in the Gracemere area, or we can arrange for group pickups outside Gracemere, then we'll take you home when you’re done! Disclaimer: The information located on this page is not intended for persons under the age of 18yrs or patrons excluded from gaming.